Here is a roundup of Kauai’s points of interest. I’ve listed 50 things to do as you travel clockwise around the island beginning at the Kalalau trailhead (Ke’e beach parking lot). The first 41 activities are specific to a location. 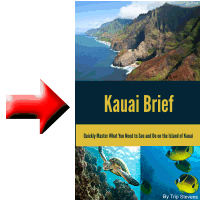 The last nine have a number of options and can be done from different places on Kauai. Enjoy! Hike the Kalalau trail. We’ll kick this list off with the queen mother of all Hawaii hikes. 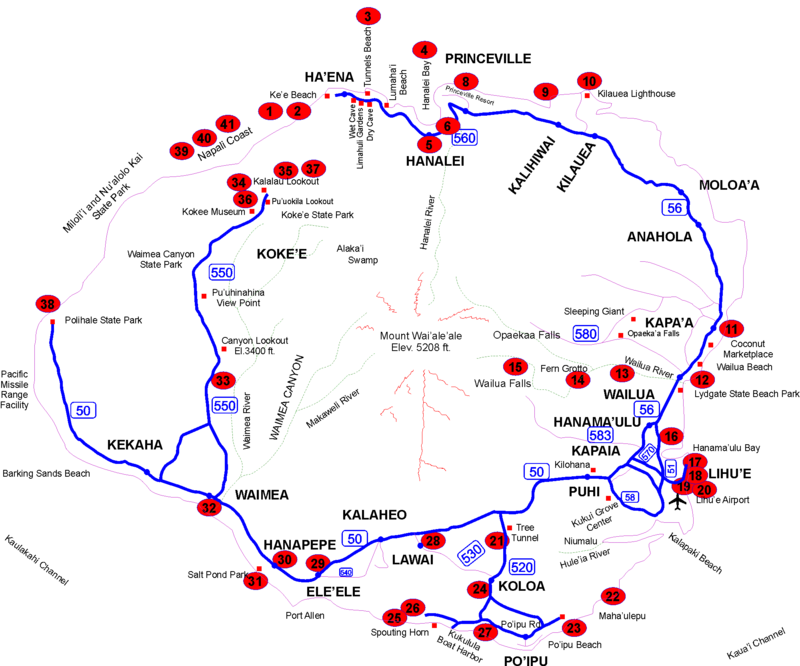 The Kalalua trail is the most famous trail in all Hawaii and is often called the “most dangerous hiking trail.” I believe that there are more dangerous hiking trails but due to its popularity, it is possible that more people die hiking on this trail than anywhere else. It is a breath-taking trek across the Northern portion of the Napali coast. The actual hike is 11 miles in and 11 miles back. If you want a sampler hike, hike in about two miles and then take the detour to the Hanakapi`ai trail up another two miles to Hanakapi`ai Falls. It is a great hike with a spectacular destination and much lower risk than the full featured hike. Visit Ke’e beach. This is one of Kauai’s most awesome beaches and is definitely a “must see” if you are into wildlife–especially underwater wildlife. 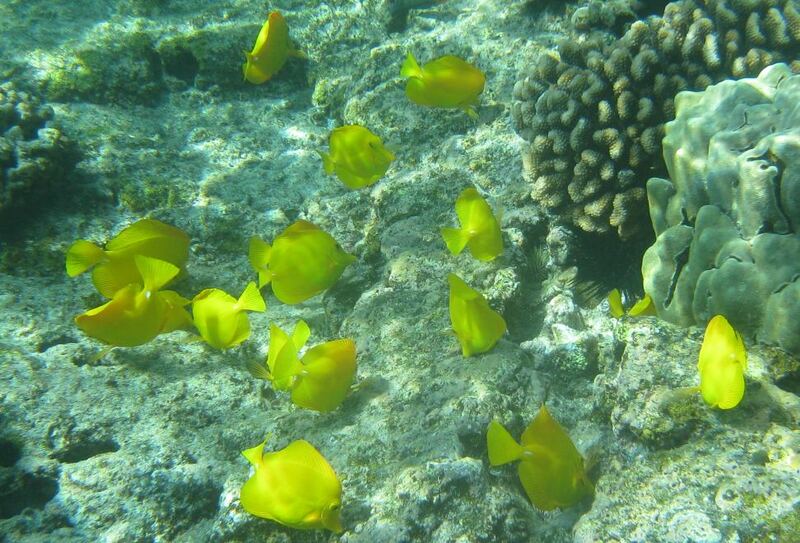 You can see a greater variety of fish here than anywhere on the island except maybe at Tunnels beach. 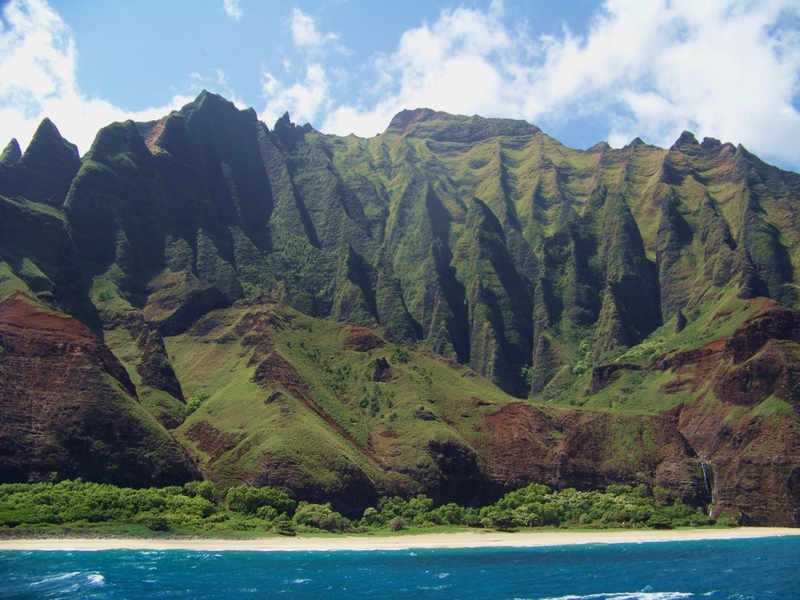 Here at Ke’e beach, you can see the north part of spectacular Napali coast. The beach is big and well shaded and a deservedly popular place to snorkel. The parking lot does not accommodate the crowds so you may need to drop your party off at the beach and drive back down the road a bit for parking if the regular parking lot is full. Ke’e beach is located at the end of highway 560. As soon as you see an open parking spot, take it. Snorkel at Tunnels Beach. Tunnels is a little to the East of Ke’e beach and is a worthy competitor for best snorkeling on the island. It doesn’t have the biggest reef on the island (Anini beach is the winner there) but it has a big one. With big reefs come a lot of fish seeking protection and these fish come in every shape and size. Check it out. Take in a Sunset at the Hanalei Pier. 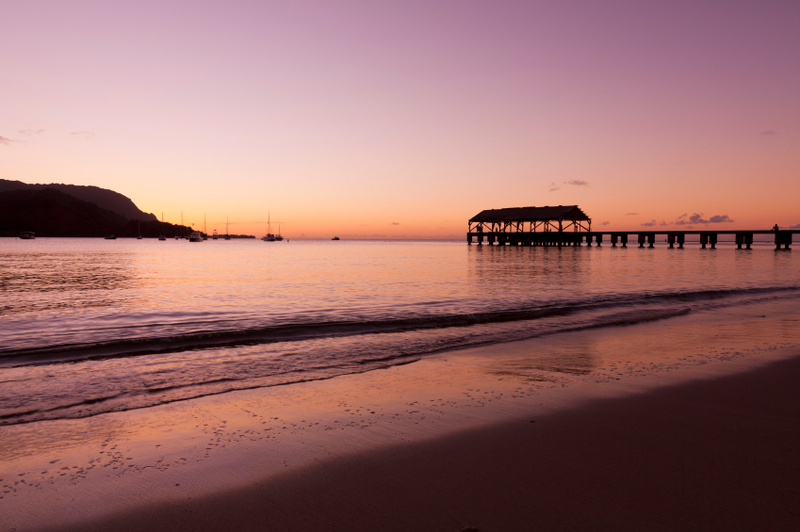 While at the North side of Kauai, be sure to take in Hanalei, and watch the colorful sunsets at the pier. Take a Picture of the Hanalei Valley. 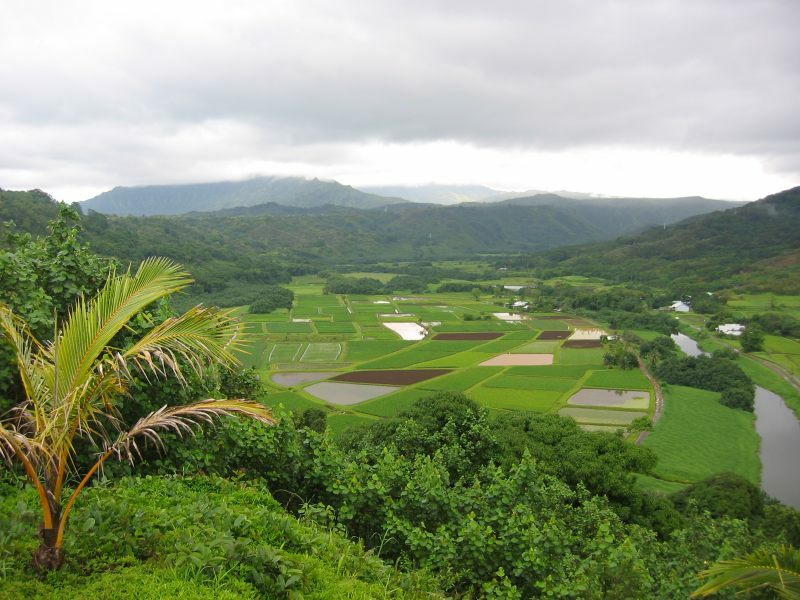 On your way in or out of Hanalei, be sure to check out the Hanalei Valley overlook (across the street from the North Shore general store). It is here than even the most photographically challenged can take postcard quality photos. The lookout gives you a view over the lush green taro fields of Hanalei valley with a backdrop of the Namolokama mountain range. Seriously, you can’t mess this shot up. This is another “must see” and best of all it is free. There is a pull-out on the road and surprisingly, I have never seen the parking full there. Eat a Fish Taco at Tropical Tacos. Also while you are up North, take in a fish taco at Tropical tacos, a universally fun place to eat…and the food is pretty dang good too. This one is easy to find. It is right on Kuhio highway (5088). Grab a porch seat and watch the all the people go by. Great fun! Its also a great place to spend a little time waiting out a rain shower. Golf in Princeville. Some people ask why somebody would golf in Hawaii, when they could golf at home. The reason why is because everything is prettier in Hawaii including the golf courses. The Makai golf course in Princeville is no exception. You look one way and you see the majestic, lush, green mountains. You turn around and see the pacific ocean waves crashing on the beach. Take your time folks. Dive into Queens Bath. This place is a family favorite. Hidden in the lava rock on the coast at Princeville is a swimming pool sized cavity that serves as…well…a type of swimming pool right next to the coast. Crashing waves keep it full and often, you can find fish in it. This attraction is beautiful and fun but not for the weak hearted. There is a hike down to the coast and the waves can occasionally be quite wild and wash you out into the ocean if you aren’t careful. Be careful! Get a Suntan at Beautiful Secret Beach. The Hawaiian name for this beach is Kauapea beach. It is another one of Kauai’s finest beaches but requires a 15 minute hike to get to it. It is worth the hike and because it require a hike, there are far fewer people there than at most beaches right next to a parking lot. You can swim in this one during the summer but it is too rough in the winter months. 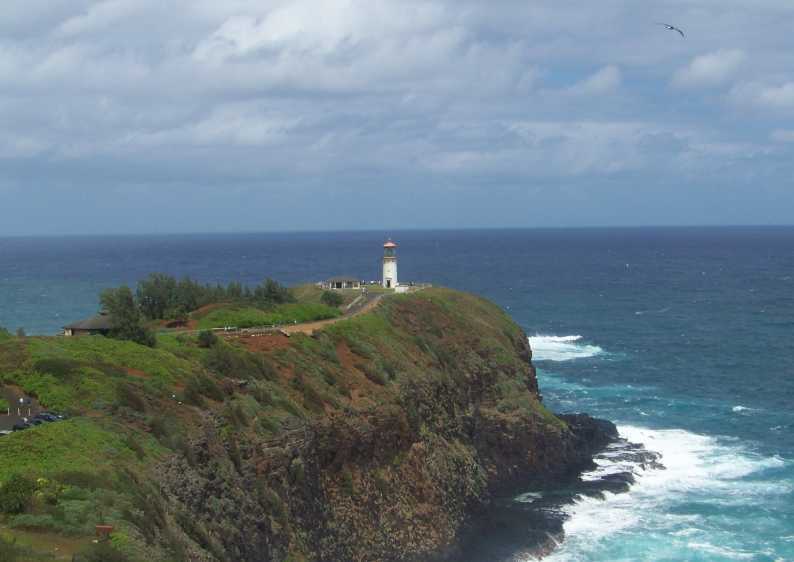 Visit Kilauea Lighthouse. 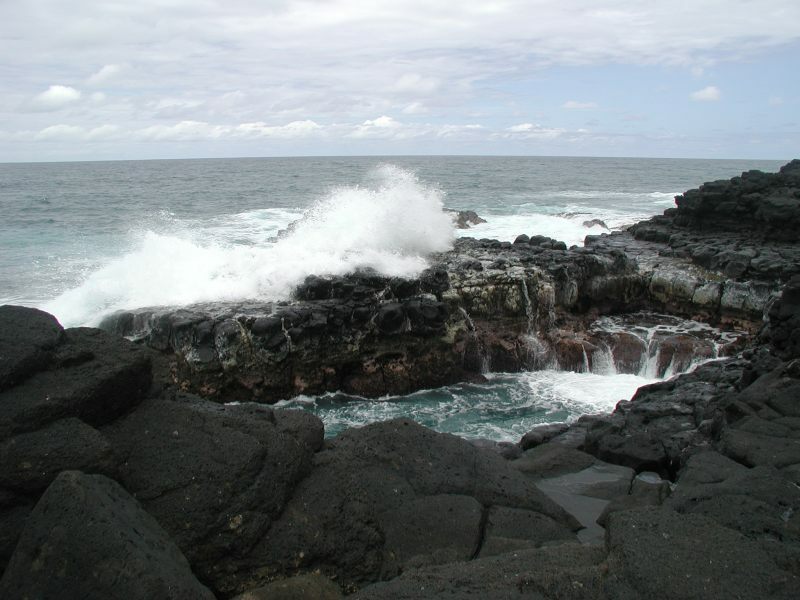 While rounding the corner at the northwest side of the island, be sure to stop at Kilauea Point Wildlife Refuge. Again, here is another great photo opportunity and it’s tough to get this one wrong. Take a picture of the lighthouse. Take a picture of your family in front of the lighthouse. Take a picture of the wildlife. Take a picture of the waves crashing below. Did I mention that this place is picturesque? By the way, on your way out of town, stop in at the Kilauea Bakery (2484 Keneke St.), it will be well worth your time. Try the macadamia nut chocolate chip pie or the coconut cream cake. Shop at Coconut Marketplace. Grab some extra sunscreen at the ABC store or pick up souvenirs for all those you left at home…and maybe get yourself a coconut. This place is also easy to find (484 Kuhio Highway). If you time it just right, you might just catch a free hula show. Snorkel at Lydgate State Park. This one is a must for beginning snorkelers because there is a protected pool created just offshore with lava rock walls. Snorkel in there and you don’t get washed out into the ocean. This is a great place for families as there is another protected pool specifically designate for keikis (kids) and a great playground. This beach has great facilities with clean bathrooms and showers. 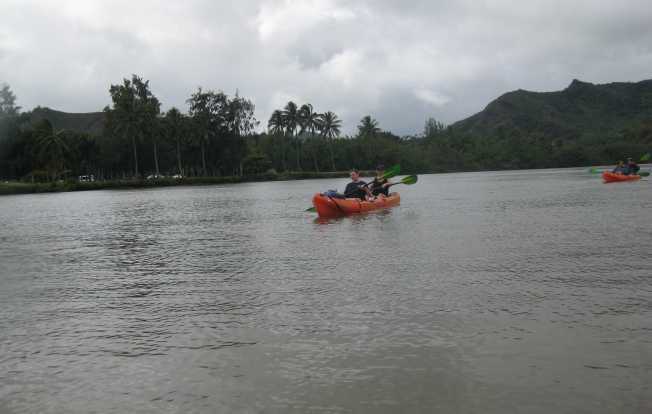 Kayak up the Wailua River. This is another great family activity (if your kids are big enough to paddle a kayak). Wailua river valley is gorgeous year around and the river is quite calm and easy to navigate. For extra fun, book a tour to secret falls. Although the falls really aren’t that secret (75% of the people on the river are headed there, the falls are quite pretty and it’s a fun little hike after paddling up the river and it’s a great place to break for lunch–which if you book a tour will be provided for you. Tour the Fern Grotto. If you would like to visit Wailua river valley but don’t get too excited about paddling up a river to see it, you can take a boat tour up the river to visit the fern grotto. The fern grotto is a cave full of lush vegetation. Along the way, you will pass by the Kamokila Hawaiian village. You have the option of a number of different tour companies. If you can get a boat with a covered top, this is a pretty good activity to do on a rainy day. Visit the Waterfalls. Wailua Falls and Opaekaa Falls are both falls worth seeing and photographing. The good news is that these falls are within about a 20 minute drive of each other. The bad news is that on the map, they are only about a mile and a half from each other. To get from one to the other takes a circuitous drive but its well worth it. You can drive to both. Many Hawaiian waterfalls require a hike to see them. Tube the Flumes. This one is very unique. 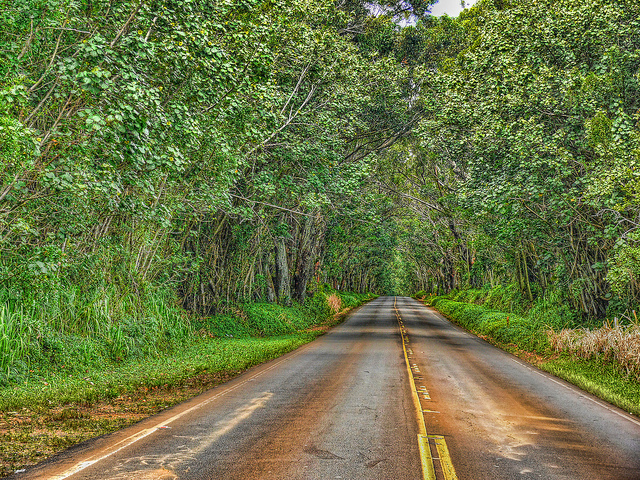 You don a headlamp and tube down the canals of earlier Kauai plantations. Your journey takes you through 3 of 4 tunnels–hence the headlamps. This attraction is quite popular so book early to get your entire crew in the same group. I would suggest booking this a couple of months before your vacations–more if you are visiting Kauai in June or July. See the Kauai Backcountry adventures website to reserve your spot. Eat Breakfast in Lihue. There are some great options for eating breakfast in Lihue. I would suggest Kalapaki Beach Hut, Dani’s restaurant, Tip Top Cafe, or Rainbeau Jo’s (a food truck). For more detailed descriptions of these places see my post, best breakfasts in Lihue. Eat a Slice of Kimo’s Hula Pie. If you are in Lihue but it’s too late for breakfast, stop by Duke’s Kauai for a slice of hula pie. And by “slice,” I actually mean a wedge. 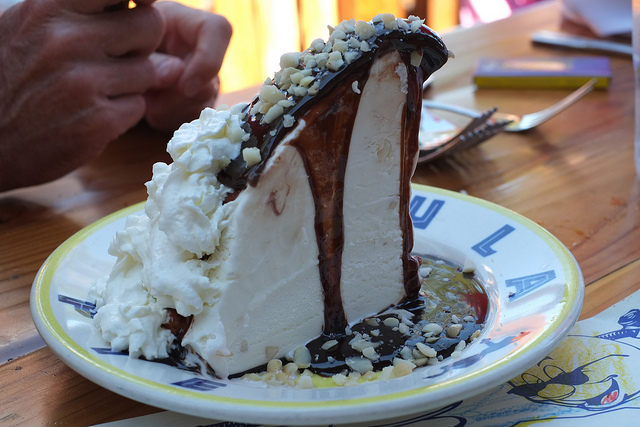 For the benefit of the uninitiated, hula pie is a pie made with macadamia nut ice cream with a chocolate cookie crust and topped with chocolate fudge, whipped cream and more macademia nuts. Yeah, I know it doesn’t sound very good but trust me it really really is 😉 photo credit: Michael Radwin @ Flickr.com. Get an Education at the Kauai Museum. Also in Lihue is the Kauai Museum (4428 Rice Street). If you wish to know more about Kauai’s rich history or culture, this is your stop. This is another great rainy day activities. If you can get one of the curators to give you a tour, take them up on it. You will learn more from them than the displays themselves. 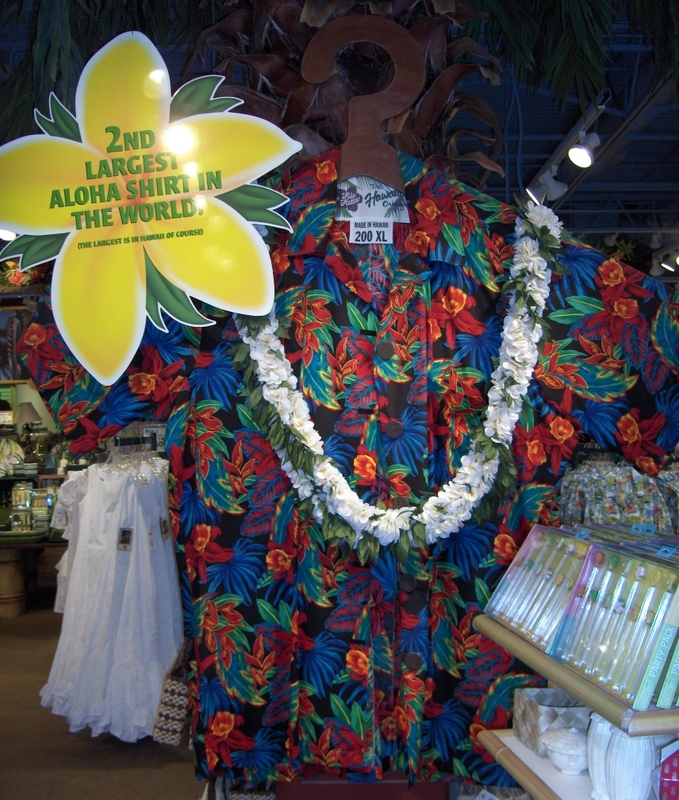 Pick up a Screaming Hawaiian Shirt at Hilo Hattie. If you don’t like loud Hawaiian shirts, bobblehead hula dancers, coconut bikini tops and ukuleles, then move on to #20. But if you do, stop in at Hilo Hattie (3252 Kuhio Highway) and get all the stereotypical Hawaiian souvenirs you want/need. I love that place. Hike the Mahaulepu Heritage Trail. This trail between shipwrecks beach and Kawailoa bay has a little bit of everything but plenty of beautiful coastline. See geological creations like the Paa dunes, Makauwahi sinkhole, and the Makawehi lithified cliffs. You will also see a variety of Hawaiian flowers and wildlife. For more detailed information, see the official Mahaulepu Heritage Trail website. Swim, Snorkel, or Snooze at Poipu Beach. This beach is popular with both tourists and locals. The water is typically calm here and there is a large reef which means great snorkeling. Due to the many locals that come here, this beach may get busy on weekends. If it is too busy when you come, head a little west to Lawai beach (5022 Lawai Road) which is another great beach. Both beaches have restrooms and showers. Shop in Old Koloa Town. You get the souvenirs for your friends at Hilo Hattie. You get your own Kauai souvenirs at the Old Koloa Town shops. Island art, cool sweatshirts, fashionable jewelry are all available at the shops in Koloa town. You can also pick up a slice of pizza or some shave ice if you are hungry. Witness Spouting Horn Erupt. Spouting horn is a highly photographed blowhole with a legend. After the blowhole spouts off, there is a hissing sound as the water returns to the sea via the underwater channel in the lava rock. That hissing is said to come from a giant lizard trapped in the channel. The magnitude of the spouting water is directly related to how high the surf is at the time so you may not want to waste the time if the surf is out. To get an idea of what you would be missing, see this video of spouting horn. Visit a Botanical Garden. There are a number of botanical gardens on Kauai. #26 corresponds to the Allerton Garden. Each garden has its own strengths. Other options include Limahuli Garden and Preserve up on Hanalei, Princeville botanical gardens and McBryde Garden. For more information on each, visit the National Botanical Gardens website. These gardens provide more great photo ops for you shutterbugs. Watch the Sea Turtles. 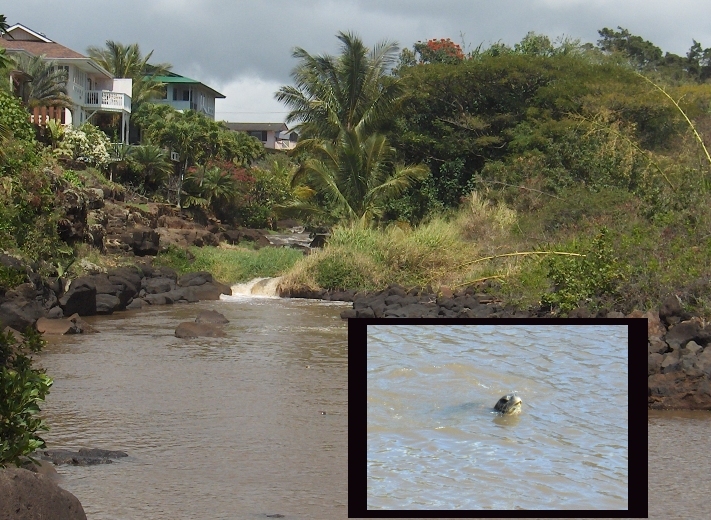 There are a number of places to see sea turtles on Kauai, but there is one place that has never let me down and that is where the Waikomo stream empties out into the Hanakaape bay. If you are staying at the Whalers cove resort, you can just walk over to that channel and watch them. Now that I’ve let you in on my guaranteed turtle witnessing spot, you have to promise that you won’t pester them. They are often sleeping on the rocks there and it is against the law to torment the sea turtles. I’ve included a picture below of what the inlet looks like to help you know if you are in the right place or not. The picture was taken after several days of heavy rains and the stream was quite muddy. Buy a Niihau Shell Lei at the Hawaiian Trading Post. Niihau is the western-most Hawaiian island and inhabited by Hawaiian natives that actually speak Hawaiian. It is a privately owned island and tourists are not allowed there. That is not exactly true as you can charter a boat over there or fly over in a helicopter but you won’t find a place to stay there. A chief product of Niihau is jewelry made from rare tiny pink shells. The Hawaiian trading post (3425 Koloa road in Lawai) is the best place I have found to buy them with the best selection. You can also get jewelry made of black Tahitian or yellow pearls along with many of the other types of souvenirs you might find in other parts of the island. Be sure and take advantage of all the photo-ops around the grounds there. If you do try to get here via some map app on your phone, be aware that many websites get the city wrong. Google has this place in Koloa or Kalaheao. If in doubt, just go the the Southeast corner of the intersection of highway 530 and highway 50. Suit Up with an Official Red Dirt Shirt. In 1992, Hurricane Iniki destroyed much of Hawaii including an inventory of white t-shirts waiting to be printed and turned into Hawaiian souvenirs. These white shirts were stained with the iron rich Hawaiian soil and could not be used for their original intent–at least that was what was thought originally. Then the owners of the print shop printed them anyway as souvenirs of the Hurricane and they became quite popular with both locals and visitors. Since then, the popularity of the red dirt shirt has expanded and you can find them as far away as Sedona, Arizona and Moab, Utah. But this is not for you. Cheap imitations will not do. You need an official red dirt shirt from the source. Pick one up at the original factory outlet, 4350 Waialo Road in Eleele. Experience Enchanting Hanapepe Town. Hanapepe is full of old historic buildings, artists, food trucks and great music. There are plenty of shopping opportunities in Hanapepe including the unique Talk Story Book store, the “western most book store in the united states.” Be sure and check out the town’s famous swinging bridge while you are there. If you visit Hanapepe on a Friday night, you can catch the Friday night festival and art walk. Take Your Kids to Salt Pond Beach. Close by Hanapepe is the Salt Pond Beach which is a great beach for kids. It has calm water, lifeguards, picnic tables and even parking. Satisfy Your Hunger at the Shrimp Station. The Shrimp Station at 9652 Kaumualii highway in Waimea serves up shrimp and nothing but shrimp. I’ve tried about six different plates on the menu and have not been disappointed. Its a great stop on your Kauai island tour. Be forewarned that the hours they post as being open seem to be more a suggestion than anything else. We once showed up about an hour before closing time and they were locking up to go surfing but they did still take our order. Gotta love Hawaii! 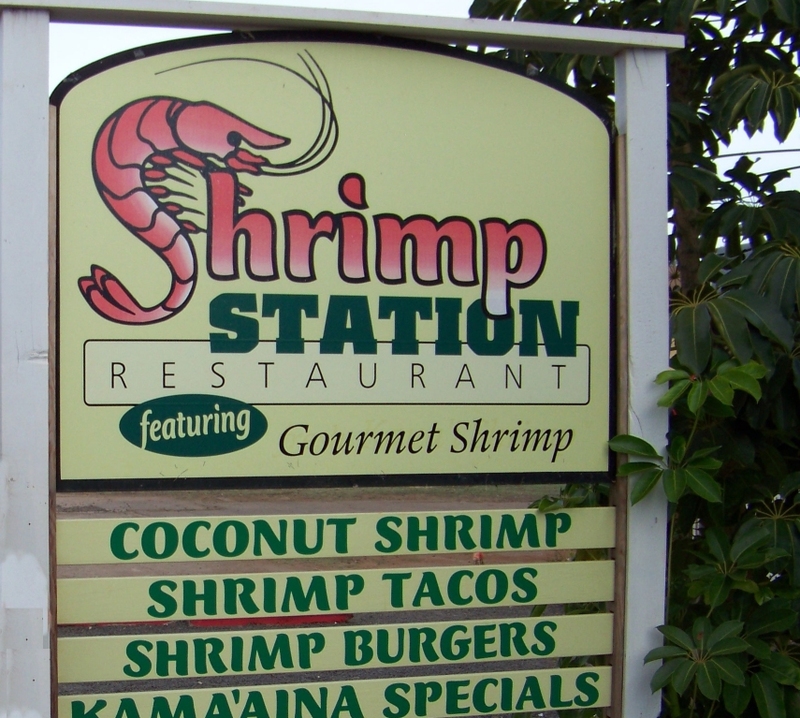 There is also a shrimp station in Kapaa but the one in Waimea is our family favorite. Drive up Waimea Canyon. Waimea Canyon, also called the “Grand Canyon of the pacific” is listed on tripadvisor.com as the #1 of 277 attractions on Kauai. The contrasting red dirt and lush green foliage and an occasional waterfall here and there make this another great photo opportunity. If you haven’t seen a colorful Kauai chicken on your Kauai adventure yet, stop in at the Kokee museum and you’ll have a hard time getting out of your car without stepping on one. View the Spectacular Napali coast from the Kalalau Lookout. Drive up Waimea canyon to around mile marker 18 and you will find the Kalalau lookout. 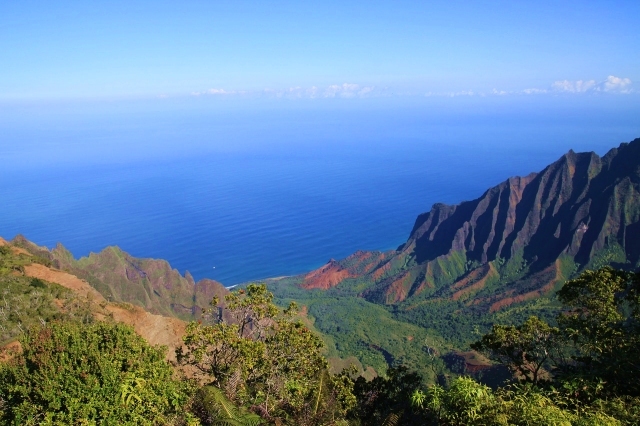 There you will find a spectacular view of Kalalau Valley and the Napali coast. This is the subject of many Kauai postcards. Be forewarned that if the day is overcast, clouds can ruin your killer view. Hike the Pihea Trail. This is a great sampling of Waimea Canyon. On a clear day, the views can be spectacular. You get views of both the Kalalau valley and the Alakai swamp. Be sure and stop at the Kokee museum to get a map and the current trail conditions. Like all trails in Hawaii, this trail can be quite slippery after a rainstorm. Hike Nuololo cliffs. 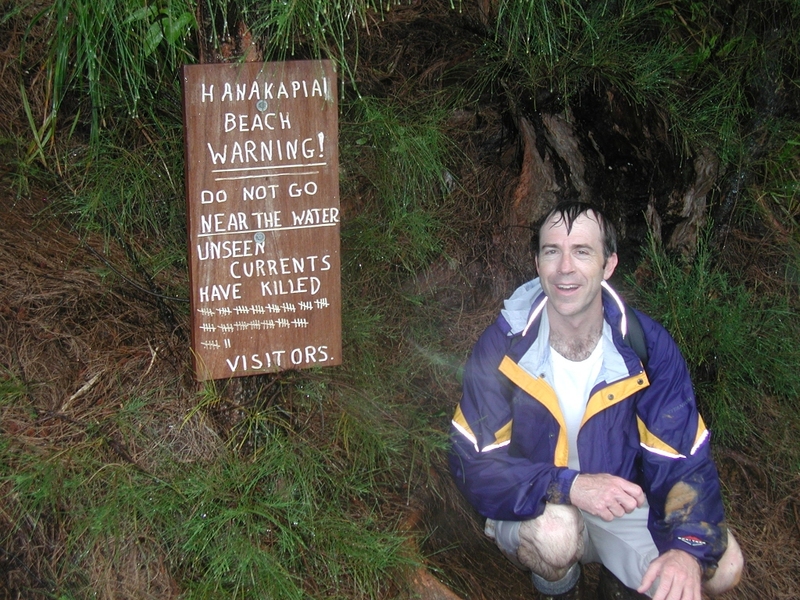 This is one of my favorite hikes in all of Hawaii but is not for the faint-hearted. It is another hike up Waimea canyon. There are spectacular views of the Napali coast but also some dramatic drop offs. This is not for those afraid of heights. This hike requires that you hike on 3 different trails: Nualolo trail, Nualolo cliffs trail, and the Awawapuhi trail. The trailhead start and end are at two different points on Kokee road separated by about 1.5 miles. So you can do this as a shuttle hike or walk 1.5 miles on the road to get back to your car. The full loop is 10.8 miles and you should plan on taking the full part of your day. The second time I hiked this, I took Mrs. Stevens and we were disappointed when we got to the part that opens up to gorgeous views of Kalalau valley, all we could see is clouds. So check the weather conditions on this one too. Hike the Unique Alakai Swamp Trail. This is the last trail I will recommend up Waimea canyon and it is quite different from the others. The Alakai swamp is the highest elevation swamp in the world. Hiking this trail, at the end of Kokee road, will reward you with rare birds, rare insects and rare plants that are not found anywhere else. This is a birdwatcher’s paradise and a regular paradise for the rest of us. Unfortunately, many of the birds in the Alakai swamp are endangered. There are so many things about this trail that will delight the nature lover. While you are indeed hiking through a swamp, you are walking on a boardwalk through the wettest portions of the trail. 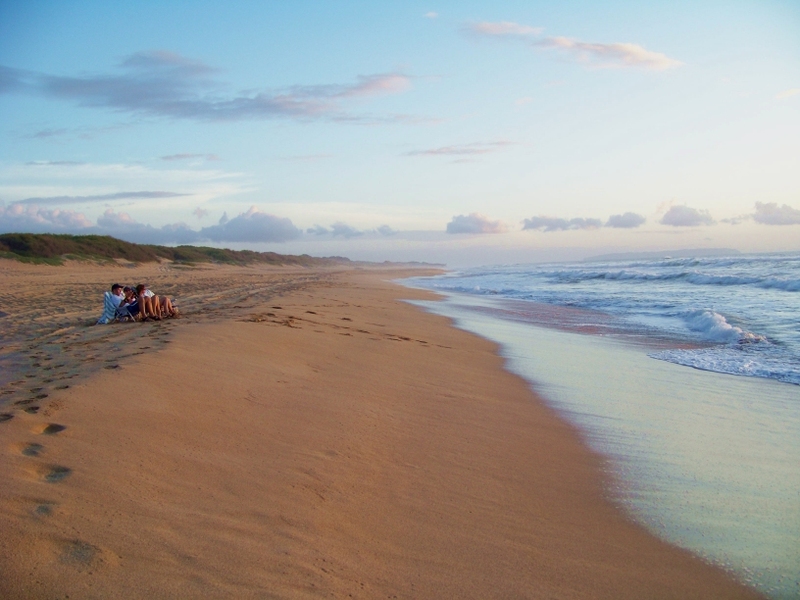 Catch a Sunset at Polihale beach. Polihale beach is seven miles of smooth sand and is possibly my favorite beach in all of Hawaii. It is also quite remote and not visited by too many probably because of the dirt road you take to get there. Because of the few visitors and the sheer length of the beach, you can always find you own private stretch. We always drive all the way to the end of the road. I guess everyone has found their own private beach before then because we often find ourselves alone there. At that point, you can see the south end of the Napali coast. Its a gorgeous place and the sunsets are spectacular. Kayak the Napali Coast. This activity was once at the top of National Geographic’s best adventures list. This is still on my bucket list and must be done during the calm time of the year (May-September). There are a number of outfitters on the island that will lead you on this adventure. This is a 17 mile trek and will take you all day (beginning quite early). Take a Boat Tour of the Napali Coast. If you would like to see the Napali coast from the ocean but aren’t too excited about paddling out there, there are a number of companies that will take you on a boat tour of the coast–most of them leave from port Allen on the south end of the island. Like the kayaking adventures, these tours only go all the way up the Napali coast during the summer season. I have done this a number of times and have never been disappointed. If you have someone prone to sea-sickness in your party, get some bonine. Take a Helicopter Ride along the Napali Coast. This is another one of my favorite things to do in Kauai. There is some crazy statistic like “85% of Kauai is unreachable by car.” But you can get to that 85% from the sky. In addition to the Napali coast, most Napali coast helicopter tours will take you to other places like the wettest place on earth or to see Manawaiopuna falls (the waterfalls shown in the movie Jurassic Park). These tours usually run from about 60 to 90 minutes. They are always pricey but if you can afford it, they really do give you memories for a lifetime. I have taken helicopter rides on other islands (including the Big Island over the Kilauea volcano) and none come close to the Kauai helicopter rides. Surf or Learn to Surf. There are various places around the island to surf. Perhaps the most popular are up near Hanalei but there are also options on the east shore and down near Poipu. If you don’t know how, there are options all over the island to learn too. Just Google it. Be sure and keep up to date on Kauai surf conditions at surfnewsnetwork.com. Fly Down a Zipline. Ziplining is a quick way to spend a buck but “Oh what a rush!” These outfits can also be found all over the island. If you need a suggestion, try Koloa Zipline. Be sure to not bring any loose items or you might lose them. If you plan to put them in your pockets, make sure, they are pockets with secure buttons or snaps. Take an ATV Tour. See waterfalls, ride through tunnels, and tour through old plantations. You might get access to private lands and witness scenery you might not get to see otherwise. If this interests you, you need to do plenty of homework before you go to avoid disappointment. These tours are all over the island with various destinations and vehicles. The vehicles range from driving your own quadrunner to sitting in a dune buggy while someone else drives. And if you do get your own vehicle, check to see if the speed of the vehicle is limited. You probably won’t find an option where you can tear around where ever you like at top speeds. Take a Food Tour. Yes folks, food tours aren’t limited to just Oahu. Foodies have a few options on Kauai. They are typically centered on chocolate or fruits. Do a search at tripadvisor.com for options and up to date reviews. Visit an Old Church or Monastery. There are a number of options here–all cool. 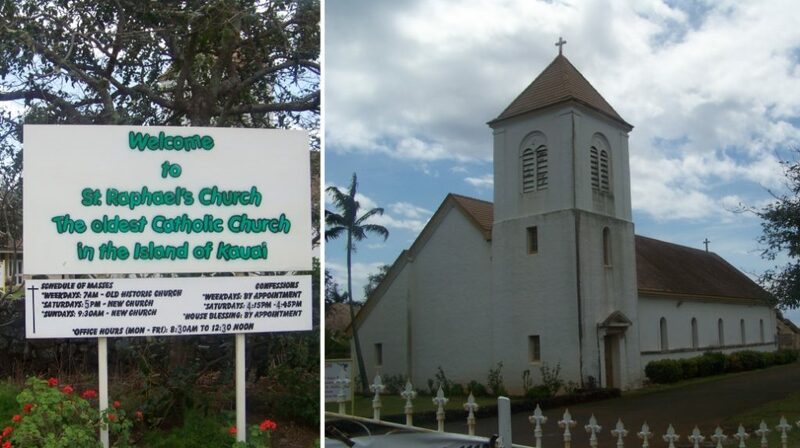 Here’s a short list to get you started: Kauai’s Hindu Monastery, Old Koloa Church, Saint Rafael’s Church, or Waioli Huiia Church. Visit an Art Gallery. There are many art options here from photos to painting to pottery. And all of it has its own Hawaiian flavor. If you are serious about this, be sure to hit Hanapepe on Friday night for their Friday night Festival and Art walk. Visit an Old Plantation. There are a number of old coffee and sugarcane plantations and a number of ways to take them in. I have already talked about tubing the flumes or riding an ATV across plantations. Another option is by train, the Kauai plantation railway. There is also a plantation museum in Lihue (4050 Nawiliwili Road). Take a Photography Tour. Want to take a bunch of pictures but not sure where to go? Or perhaps you want to find more unique scenery to shoot. That is where a photography tour comes in. Lead by a seasoned photographer, you can move around the island and visit the top photo spots. Be aware that some of these require that you be in shape to hike to your destinations. If you need a suggestion, check out Kauai Adventure Photography workshops. Charter a Fishing Tour. If you want to catch “the big one”, there is nothing quite like deep sea fishing. Charter a fishing tour and it comes with a boat, a captain with expertise and the expensive fishing reels required to catch those monsters. Costs, tours and captains vary (even from day to day), so here is another place to do a lot of homework as these activities are not cheap and will take up a half or full day of your precious vacation. 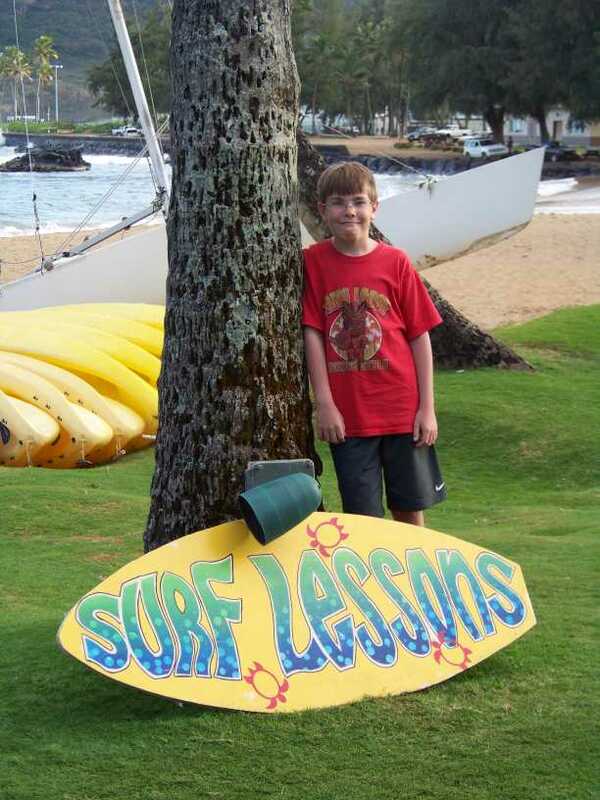 So if your kids ever say, “I’m bored,” take them to Kauai, there is something for everyone there.